I'll be uploading its infantry version once completed. New Robotic Drone Unit for Yuri in Colony Wars - Equivalent to the Terror Drone & Robot Tank called the Icon. Its pretty much the most basic Laser Unit in Yuri's Arsenal. Release Style Allied Barracks Cameo. Super-imposed the Rotating dish of the Psychic Sensor of the Soviets on Yuri's one as well as minor touch ups to damage version to have more similar gfx. Its just her going all guns akimbo john-woo style. basically something as a counterpart for Yuri's Psychic Blast. And with the Tanya/Megan Idea WW originally intended for RA1? I'd do it but its just iffy on editing Tanya to just be wearing gloves. Although the Idea is still tucked away up for future purposes. Tanya being Amphibious in the game is just too integral to RA2 gameplay so I'm totally not sure if she should get this for a deploy making her only C4 against Buildings again in essence turning her back into her RA1 Version but with just a Deploy Anti-Crowd Control. New Sniper Edit/Recolor WIP I'm doing to have Body Armor and Helmet like the GI. Colony Faction Flags. 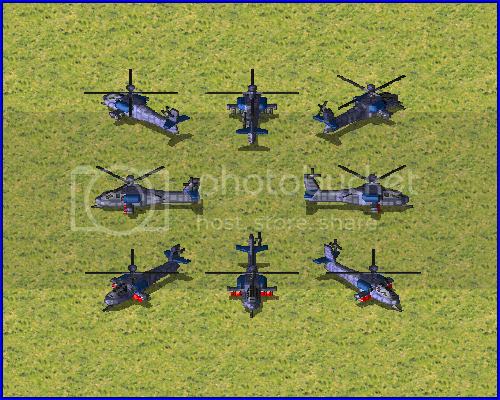 Eagle Command & GDI for now. Cameo for my Buzzsaw I posted for last months update. The sniper looks like he's got a peephole for his bum. Well thats how the Sniper looks like. They're wearing a a Vest which extends past the belt which has flaps. He's walking somewhat crouched too iirc. And with the Tanya/Megan Idea WW originally intended for RA1? Tell me more! Whos Megan? 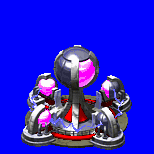 A future Support Power for the Chaos Cell Sub-Faction in Colony Wars. Heres their flavor text for their unit profile here for ppm/moddb. Zombies are the failed results of a test subject that had incompatible genes to fully mutate into a Brutes. Much of their vocal cords have shrivelled up and rendered near useless leaving them to only communicate via various groans. While lacking the sheer superhuman strength of the Brute they have been discovered to be highly resilient as well. While their strength isn't much compared to the Brute the Zombie can still fatally injure enemy soldiers through sheer numbers. Ironic as their given name, the Zombies like their famous movie counterparts are able to infect other humans if fatally wounded transforming them also into zombies to fuel the Zombie Horde. It's a shame the cyborg "torso" logic doesn't work still, it'd be awesome for zombies. Torso Logic is half-working in RA2/YR. 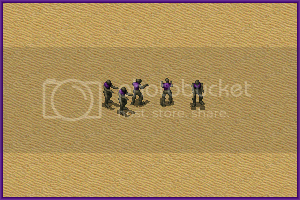 Although in there its pretty much just "limping" as the infantry will just go back to Walk once their HP goes back to yellow and you'll probably want to change the InfantryExplosion Tag to something less explosive. Zombies are done already. They're not gonna crawl anyway since they're just brutes without the muscular arms. Doesn't really bother me much on cyborg crawling. If I enabled it would be for limping "logic" anyway. Ares adds tags to allow you to customize infantry to be immune to EMP anyway so that also bypasses the EMP affecting non-mechanical infantry. I guess it would follow that a cyborg would be repaired when it's "healed". Yep, they'd magically regain their legs once their HP regens back to yellow zone. Both have lots of frames though so if I'm diligent enough it'll take me rougly a week to finish each building. Finished the Genetic Mutator & Psychic Dominator Animations to now be unlit. Get it while it has no screenshots. Up next I might try and tweak the Nuclear Reactor to have its reactor lights at the bottom to glow as well. Today is the beginning of the real end. Depending on how long it'll take me I reckon I'll finish it within next week or end of March. Both now fitt in the Soviet Sidebar! Since I am interested in these cameo, I added some space in the left side, for veterancy usage. I'm busy with RL,reviewing for an exam and uhh playing Path of Exile. It'll be done when its done. Optimistic estimation is any progress will boom back much quicker once last week of May hits. Preview of the Turret of the upcoming Colossus Tank for the Soviets in Colony Wars. Shiny Bluish Metal to cover their skin. The Main Chassis will still be mainly soviet brownish green though and his arms are covered in Soviet Brown. Oho looks good I loved. WIP so far of the Allied Galleon Transport. 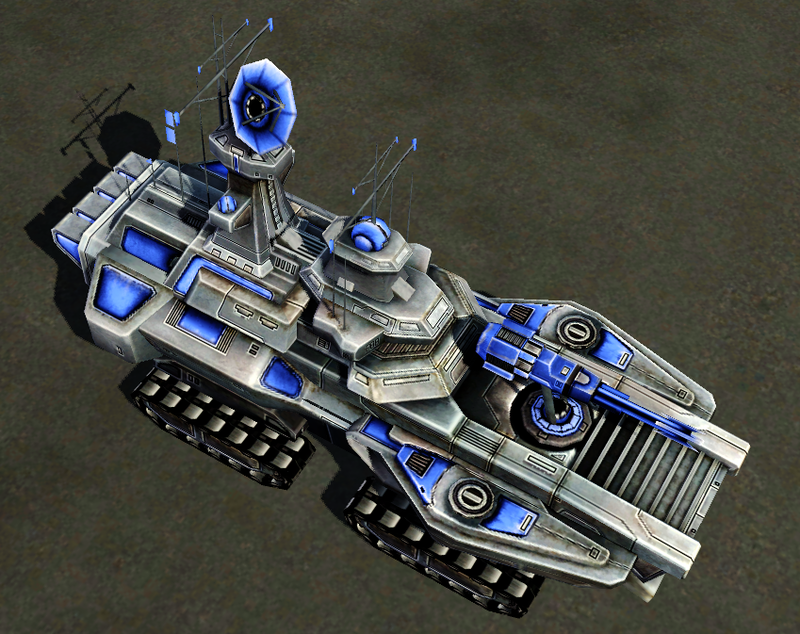 This Unit borrows some inspiration from the RA3 Assault Destroyer with its Land-Mode having Treads Pop out on the sides and uses the Landing Craft Graphics I got from tomson26lv. 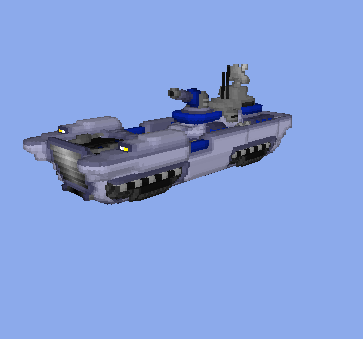 Based off Orac's Seawolf Voxel in his Cleanup Pack since its much closer to the soviet aesthetic for RA2/YR than my original one which was a near exact remake of the RA3 one. 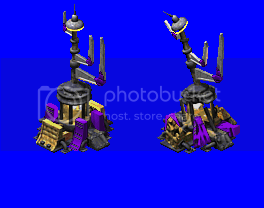 The unit now has no turret since I noticed deployer weapons on Turreted Units will attempt to face South. This is abrupt. They simply put four tracks under the vessel. Don't know what EA's thinking. To be fair they tucked up inside the hull when it entered the water. And also they'd need the treads so they can crush the smaller vehicles in RA3 and they made great damage sponges if you combine them with Repair IFVs. Look at the land mode of bullfrog, the wheels and the tracks are fit into the vehicle. But the land mode of destroyer doesn't look so. I think it looks like that due to camera angle and ...what do you call those bits sticking out of the side?.. But I think that like with the Bullfrog, the Destroyer too had it's fit in, but some factors don't make look that way. But I don't like the design of the whole thing either way. Regarding the Treads of the Assault Destroyer from the Concept Art they just folded up into the sides. Which I've based the updated Galleon Wet Version now. Decided to tweak the Dreadnought Voxel to look like the Vladimir Command Ship since its just the "same" model just it has those extra rafts and Radar Dish.